A lot has changed since the Adorata community launched this site in 2010. Read on to discover where you can learn more about Tiziana’s work, purchase Adorata products, and explore the charitable and artistic works of our 501c3 not-for-profit. 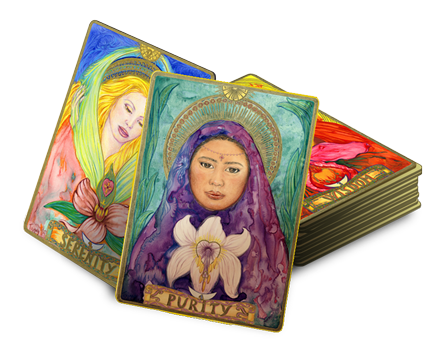 The Adorata Store has moved to Tiziana’s new website, The Sacred Lovers Within. It has been updated and modernized, making ordering smoother than ever. Browse a stunning collection of Tiziana’s books and sacred art. 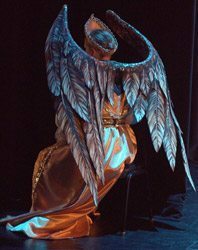 In 2014, our 501c3 not-for-profit organization was reborn as Anima Mundi Productions, a sacred art, music, and performance-oriented organization dedicated to healing the soul of the world through the arts with the mission of creating original works of art that stir the soul, foster community, and address urgent social problems. We’ve already produced two operas and a full-length symphonic work. Certified Adorata Practitioners have completed a comprehensive, in-depth, intensive training with Tiziana DellaRovere comprising five years of on-site training plus two additional years of supervised internship. They are uniquely trained to practice Tiziana’s Descent and Enlovement work with private clients. Call the practitioner of your choosing to schedule a free 15-minute consultation and learn more about this powerful healing work. 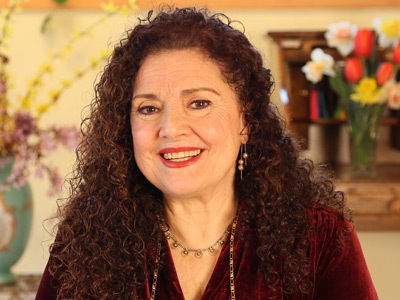 Tiziana DellaRovere is the founder of Adorata and the creator of a comprehensive system of healing methods. Her upcoming book, The Sacred Lovers Within™, lays the groundwork for a revolutionary path to transform emotional pain and restore balance to the masculine and feminine within each person. A ground-breaking innovator with over 35 years of expertise in the deep psyche, the inner male and inner female, and the spirituality of embodied love, Tiziana has helped thousands of people to bring love, harmony, and purpose into their lives. Please contact us using the form below or call 541-778-1211 with any questions about Adorata.